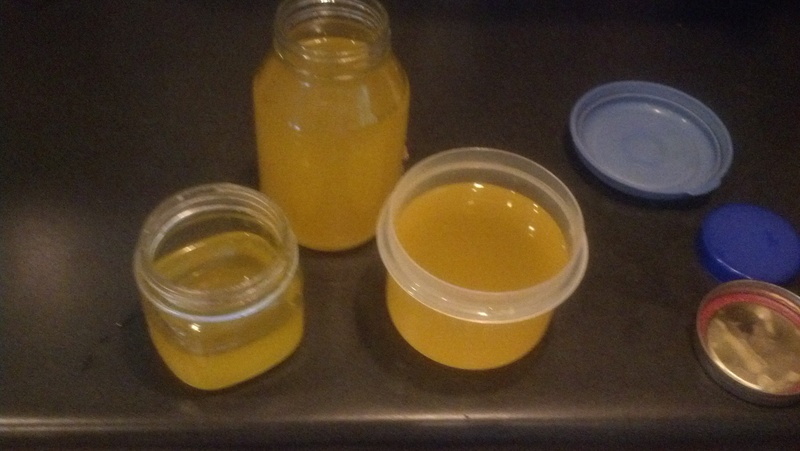 Ghee has quite a long history, as it has been used in Indian cooking for many thousands of years. Ghee is an essential (and nutritional) element in Ayurveda and in much of Indian cuisine, similar to the way butter or margarine is used in American cooking. Ghee also transcends the cooking realm, as it is used often in religious ceremonies and in various healing arts in Indian culture. Additionally, Ghee’s nutritional and health benefits are touted as ideal for anyone from athletes to people of all ages looking to lead a healthy lifestyle. Most notably, ghee (which is the Sanskrit term for clarified butter) is said to stimulate the secretion of stomach acids to help with digestion, while other fats, such as butter and oils will slow down the digestive process and can sit heavy in the stomach. Although tests and research are still ongoing, it has been used in Indian medicinal practice to help with ulcers, constipation, and the promotion of healthy eyes and skin. An Indian folk-remedy for thousands of years, ghee is also said to promote learning and increase memory retention. It is used as a base in many Indian beauty creams, and you can even find it in some makeups to help soften skin, and as a topical for the treatment of burns and blisters. Ghee is one of the lightest oils, very flavorful and ideal for cooking, as it doesn’t burn easily. In Ayurveda ghee is recognized as a digestive, improving absorption and assimilation of the foods you are cooking -feeding all layers of body tissue and serving to strengthen the immune system. This amazing gift from the cows is rich with antioxidants, it nourishes and lubricates, helping to keep the body flexible. Ghee helps to clean channels, in order to carry the medicinal properties of herbs to the body’s tissues. It is most beneficial to Pitta and Vata types – Kapha types should use it more conservatively, limiting their daily intake to a teaspoon or two. 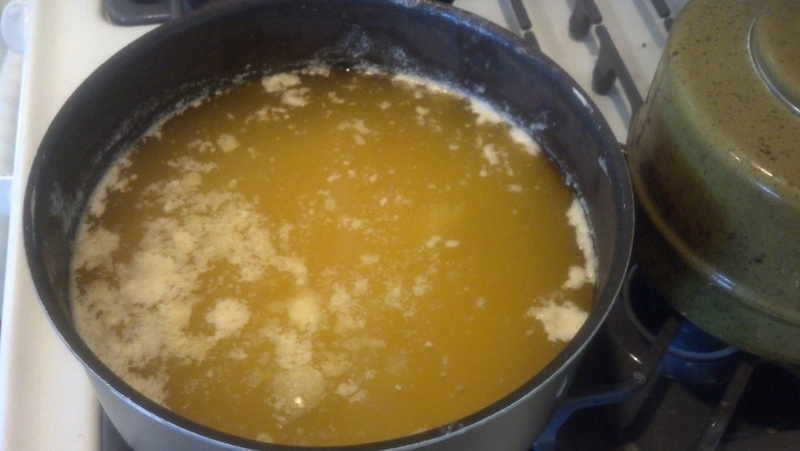 – Place 12-16 sticks of unsalted butter in a saucepan until it boils; then lower the heat.